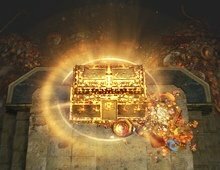 FilterBlast is free web-based tool and platform created to help Path of Exile community to effectively make, share, update and enjoy ingame loot filters. If you are new to the site please take a look at the about page. Also you may find useful How-to install item filter guide or FilterNova auto-updater/notifier tool. Enjoy item filters and have a nice loot drops in game, exile!